By Jonathan Keane , September 20th, 2016. 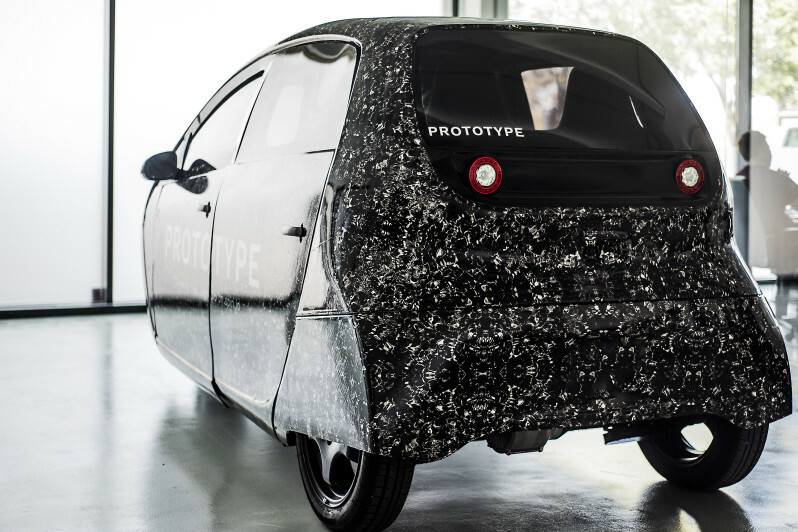 Danish on-demand carpooling service Spiri has revealed its first vehicle prototype today at the TechBBQ conference in Copenhagen. The final car is expected to hit the road next year. The Spiri is a 450kg (without the battery) electric vehicle designed for city transport. 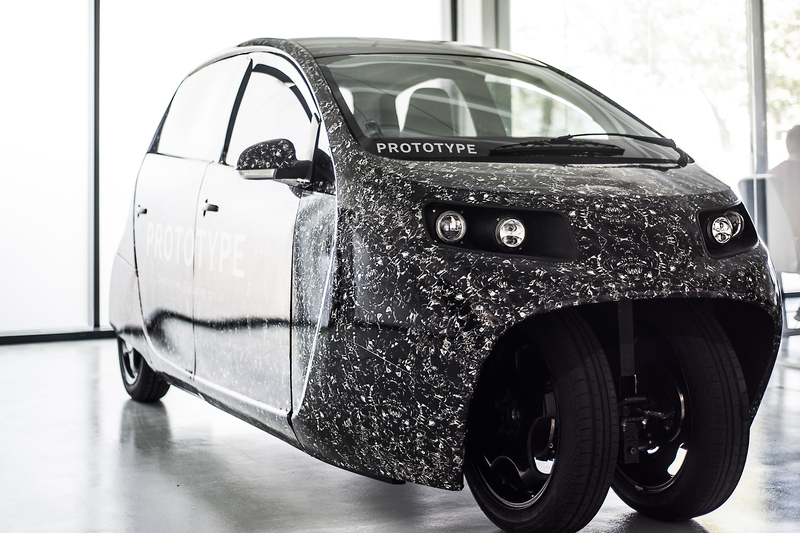 Its light carbon fibre body, with its 320 km range, can carry up to four people. The cloud-connected vehicle has been stripped down to the bare necessities to increase efficiency, range, and safety, explained Stefan Holm Nielsen, CEO and a former engineer at Aston Martin. “Thanks to its ultra-lightweight construction, the Spiri offers a whopping 320-km range with only a 36.5 kWh battery. That’s almost twice the efficiency of the Tesla Model S,” added Peter Carlsson, one of the startup’s board member and one time VP of supply chain at Tesla. The company's vision for the vehicle will see drivers picking up passengers on-demand at “virtual bus stops” around a city, said cofounder Søren Halskov Nissen. “They are placed dynamically along the route to make sure that pickups add only minutes to the driver’s and the passengers’ journeys.” Drivers go free while passengers pay a fee similar to a public transit fare. A spokesperson for Spiri said the company has raised “millions in EUR” and plans to launch the program in 2017 in Denmark, Norway, Sweden, Germany and the UK. The company did not provide any details on the number of vehicles it will launch but said that will depend on the size of the city.